OCCY Laboratory’s Aquafolia dermo-cosmetics creation was motivated by the fight against the visible signs of aging and skin problems. Conjugates the pure energy of nature with the power of science. Chooses innovative well documented intelligent ingredients from the natural anti-aging biotechnology field. Combines the know-how from the pharmaceutical and cosmetic industries. Maximum concentration of ingredients validated with in-vitro, in-vivo ans ex-vivo studies. Study of the synergy between actives. In total respect of the skin’s integrity and functionality. Products originating from the research and development of the cosmeceutical biotechnology. Give back a healthy appearance by treating specific skin conditions in anti-aging in total respect of it’s integrity. At the heart of OCCY Laboratory’s ethics, to formulate with the best actives from natural and organic origin in accordance to the laws of absorption for maximum efficacy. Who are our products for? 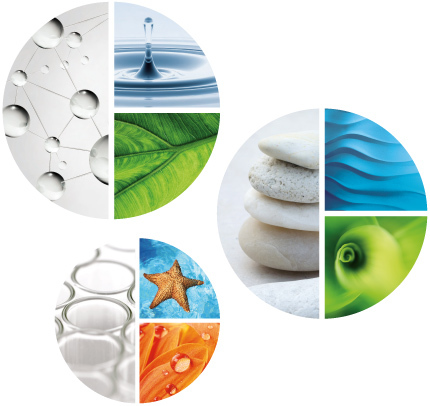 Aquafolia dermo-cosmetic treatments are adapted to all. The Aquafolia formulas present neutral fragrances adapted to men and women use, according to the specific skin conditions and according to skin types. Discover the Integral Eye Contour Cream Aquafolia! Made by CleverSolutions Jansen. All Rights Reserved © 2018.